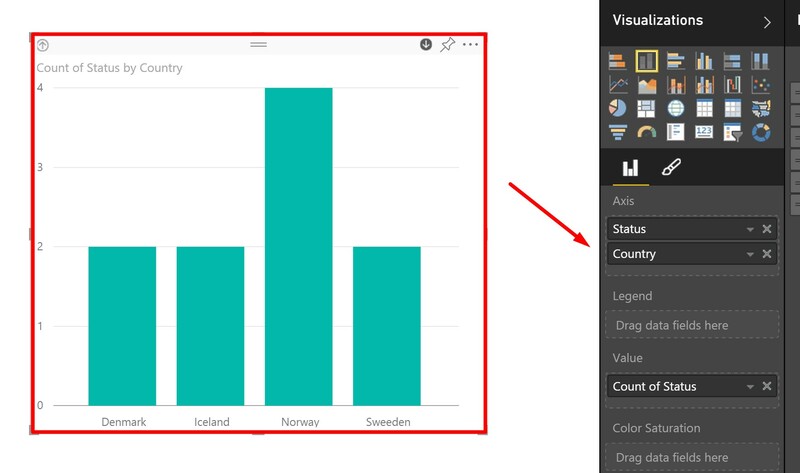 The big news for me this week was the release of drill functionality in Power BI. http://blogs.msdn.com/b/powerbi/archive/2015/09/08/power-bi-weekly-service-update-9815.aspx. 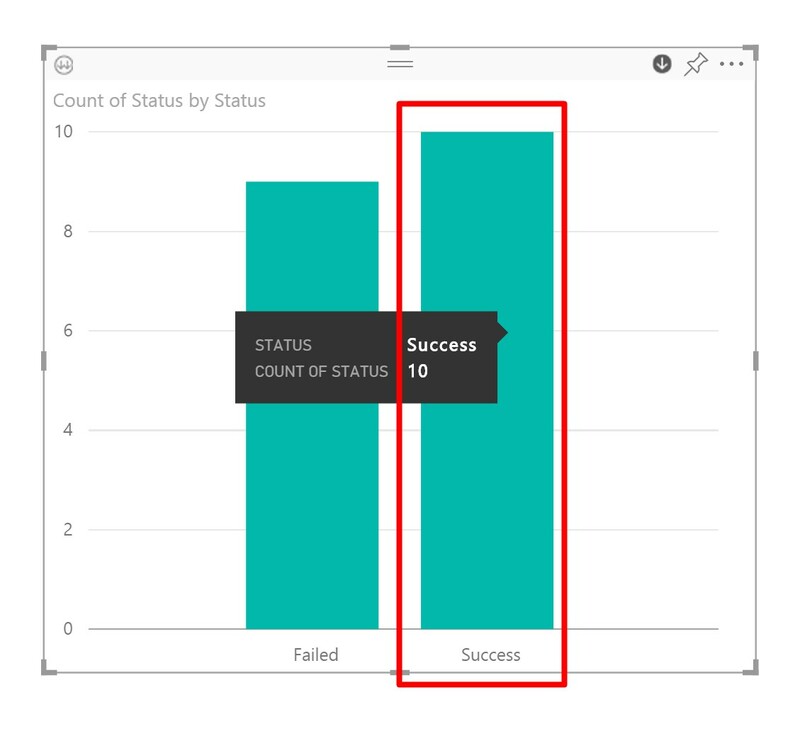 When working with Power BI and visualizations, one question always arises, “how can I get more deep dive information”. 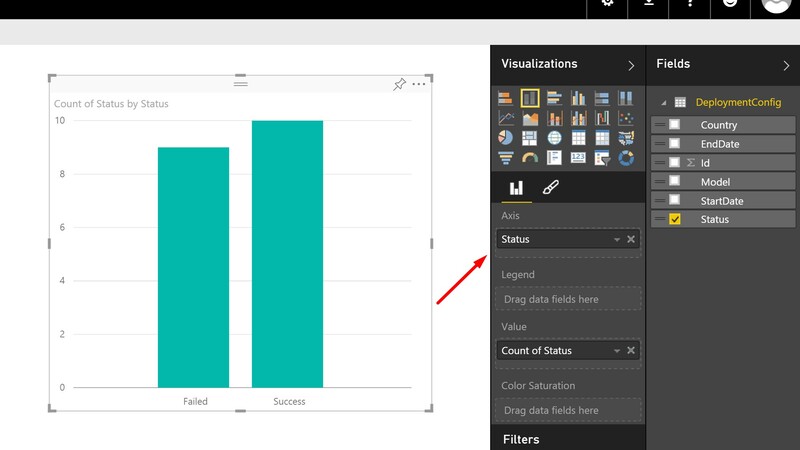 I’m very glad that there is now a drill functionality in Power BI, thanks to the Power BI team. Let’s run an example on how to do a drill down. 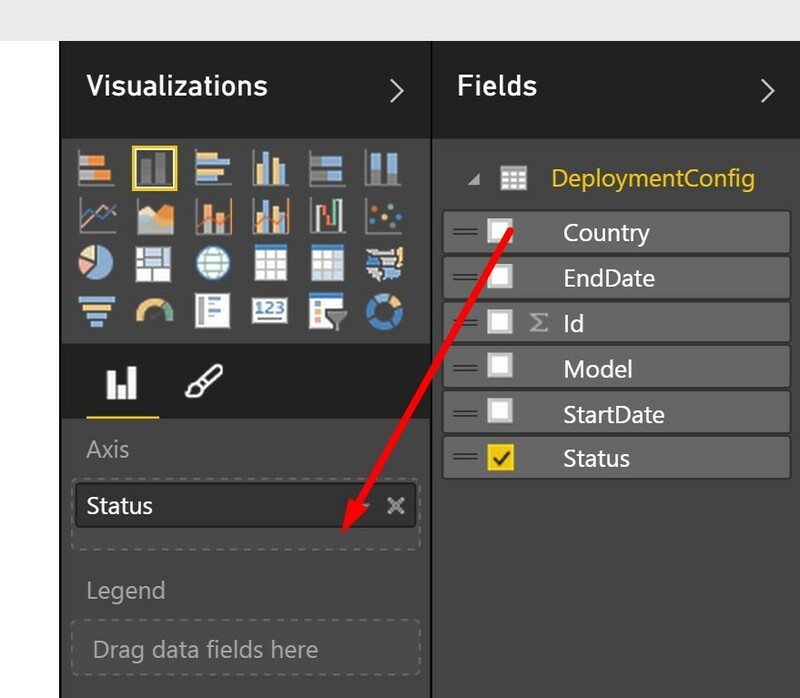 In the dataset example below, I have a Windows 10 deployment with the total count of status of our deployments. We can see this by the value “count of Status”. The axis is also Status and here we only have two values, success and Failed. (That is our two status options in SCCM). What I would like to do is to add a drill down on the countries by Status (Failed or Success). To create a drill down we need to add data value to the Axis field. By now the only data value we have is “Status”, so we need to add another, in this example “Country” value. 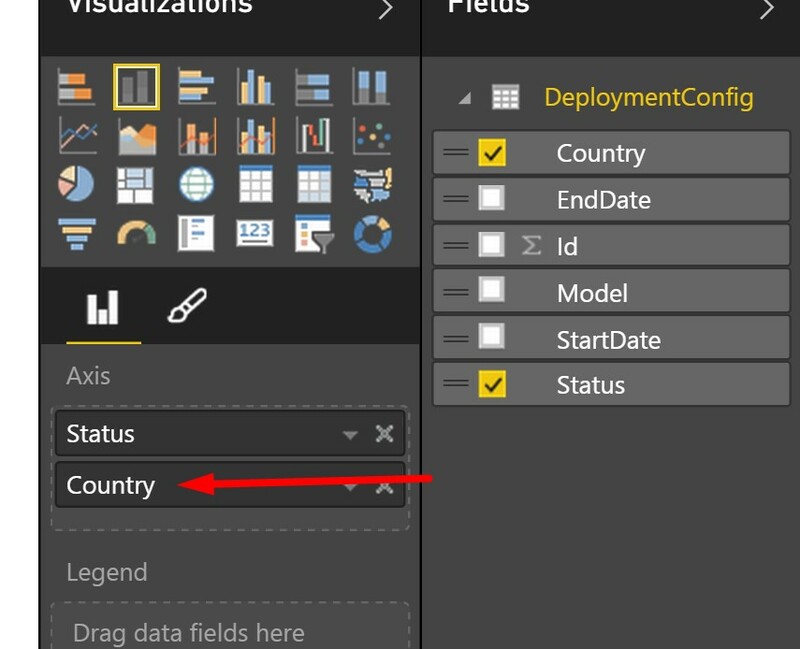 To add the country value, just drag the field down under the Status value in the Axis list. Now we have a list of the following. 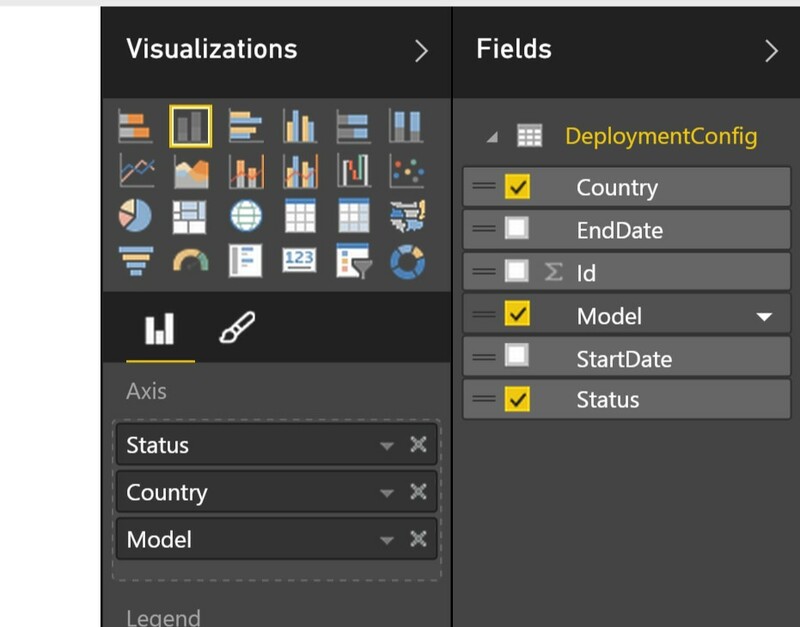 When there has been added a second value to the axis field, two new icons are added to the visualization. Drill up and drill down. Pressing the button in the right corner drill mode is activated. 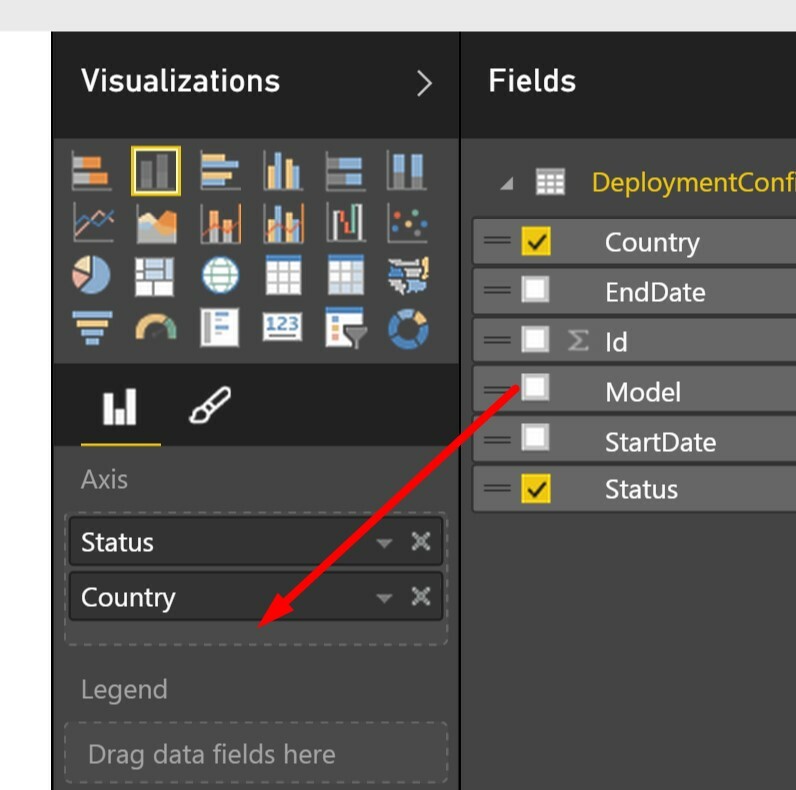 By clicking on the Success column a dill down will be available to list all the success deployments by Country. The column will now show the countries and the success deployments. To go back up again to the previous status column, click on the [Drill Up] in the left corner. To add a new drill down, drag the next value to the Axis field, this will then be the third visualization in the line. You can then traverse up and down again through the icons on the left side, [Drill up & [Drill Down]. Looking forward see more new features on drill down functionality in the future.